I have been very busy lately and it's been a challenge keeping up with this blog. 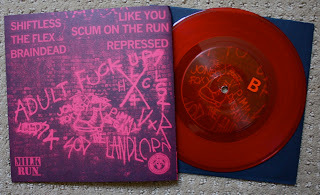 This is a great record that I was stoked on when I first got it. I bought it on a whim because of the description and the relation to Violent Reaction. I thought I would be a trend setter, and I slowly watched every single blog in the world post this record before I got a chance to. Haha, I guess great minds think alike. 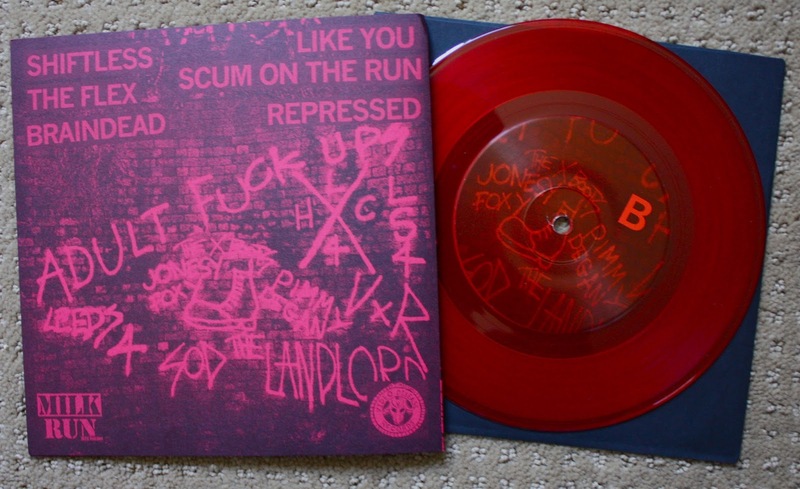 As everyone else has noted, this release pressed on red vinyl out of /600 is all around red and I think it looks great. A fantastic EP by this English band that sounds alot more like 80's USHC than you'd think. Haha welcome to the party!! Hey, you still managed to post about this record before I did. I may be about 20 posts behind, right now. Can't keep up.